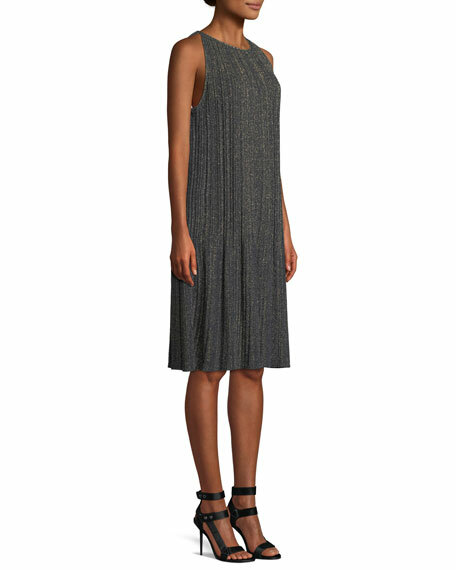 M Missoni dress in metallic plisse knit. The Italian line Missoni introduced its M Missoni collection in 1998 as a creative outlet for more youthful variations of its distinctive knit designs. 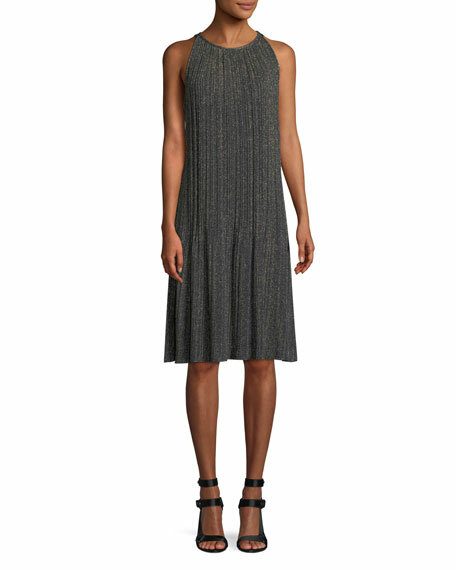 Pieces from the M Missoni line can add pops of color to an office wardrobe or become the focus of after-hours looks. 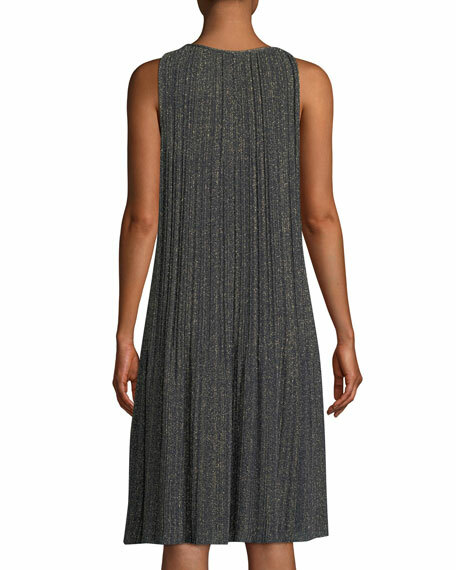 For in-store inquiries, use sku #2582212.